I always like to do year-end roundups of all my sewing and costuming projects, but I never manage to actually get them done by year's end. But better late than never! Forthwith, the 17 projects I completed (or helped to complete) in 2012! 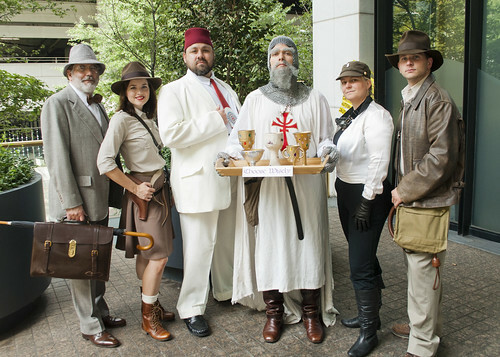 My brother has always been the junior Jones in our family (except for when our dad is Indy and Sean is Shia LeBoeuf)-- but this year he couldn't come to Comic-Con. So I filled in! 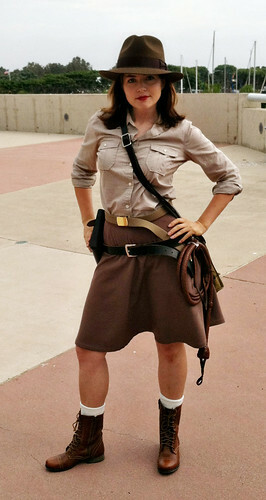 This costume was a snap, because Dad and Sean both own multiple copies of all the Indy accessories, so they just lent me the smallest hat, belt, bag, etc. I had originally planned on making some Katharine Hepburn-esque pants, but ultimately decided on a skirt. So I made a half-circle skirt out of some tan wool, and bought a shirt and boots. 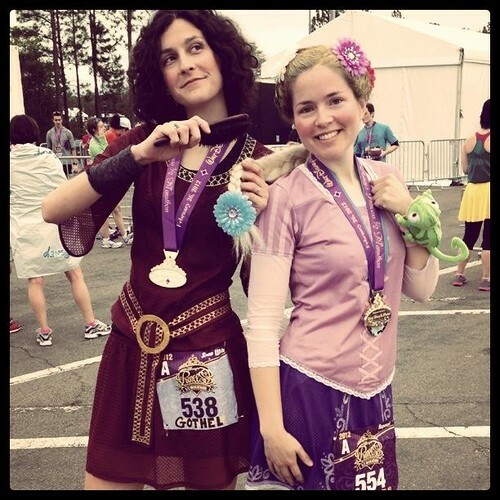 I didn't get to do my hair in a fun 30s style because I had to change into this one in the parking garage after wearing Maleficent that morning. :P At Dragon*Con we finally got our whole Indy group together for the very first time, huzzah! 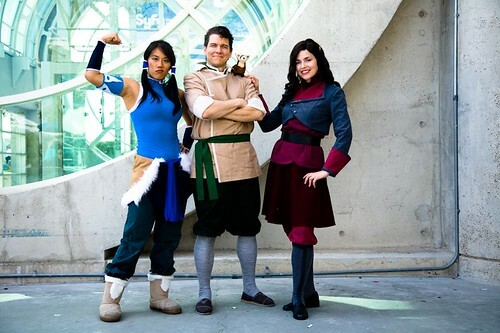 Our fabulous friend Cat had already made a Korra costume and asked if we'd be her Asami and Bolin. 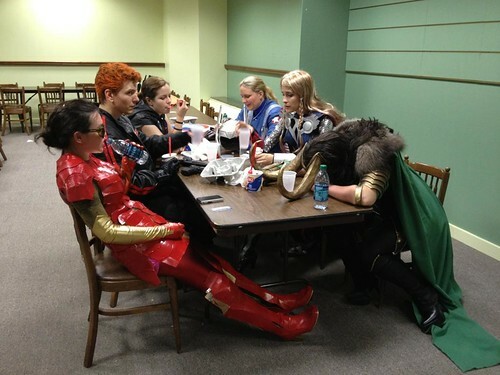 (I agreed before I even knew what Asami's costume would look like! Luckily the answer was "awesome.") We only got to wear these for a little while on Friday at SDCC but we had lots of fun, and we had a great shoot with Dave Lucchesi! Rogue, BTW, did most of the work on Bolin, under my supervision. My work on this was limited to the flak vest and the flightsuit collar. Everything else was Rogue (and a bought chestbox and commpad, with leg flares by my dad). Yay Rogue! 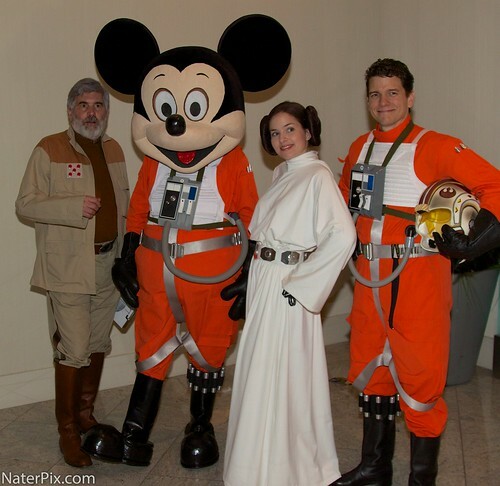 Rogue and Sean as rebel pilots, me as Leia-- who better for my dad to be than yet another dude with an awesome beard, General Dodonna! This was supposed to be a short, simple project, but the jacket and shirt had other ideas. :P But it looks pretty awesome now! 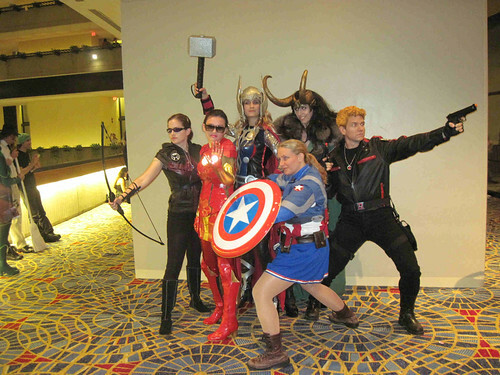 Betsy wanted to make a Lady Loki, so Janine decided to make a Lady Thor, and then a flurry of text messages happened and when the dust cleared, we were the Genderbent Avengers and I was Hawkeye. (Rogue was Black Widower. Heeee.) 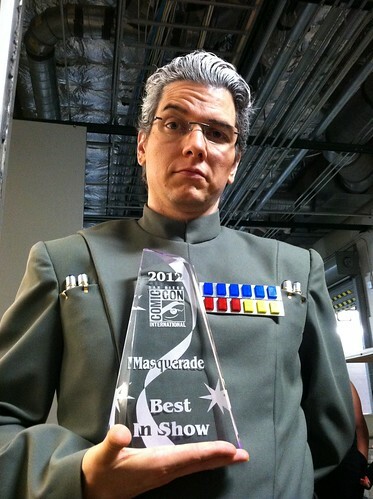 These were worn for one extremely excellent night at Dragon*Con. Plus shawarma Dairy Queen! I've gone on about this at length elsewhere, but dude, I am so proud of this thing. (Sooo close to 20,000 notes on tumblr!) 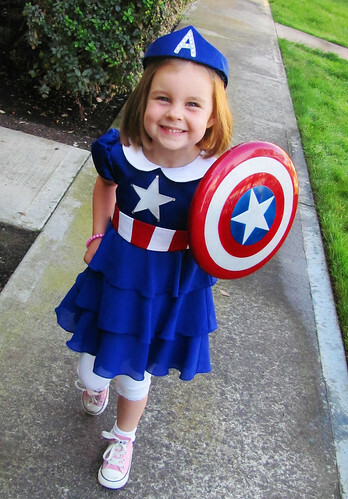 I saw it hanging in Wee C's closet the other day and had a moment of, "Damn, that is adorable! Oh wait, I made that!" It was pretty cool. 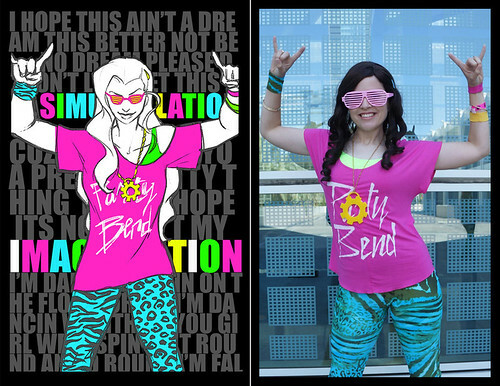 A friend of Cat's had done some fanart of "party rock"-style Legend of Korra characters. 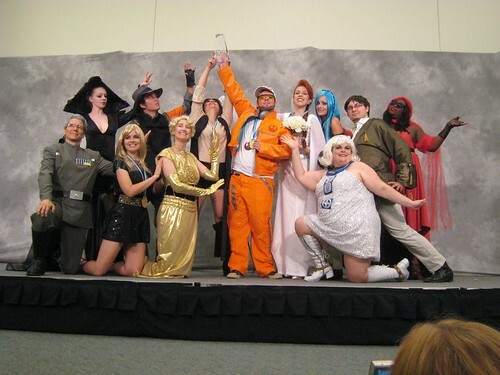 Cat really wanted to do a group at Comikaze in LA in September, and we were totally game! I still can't quite believe I wore turquoise animal-print leggings in public. (LEGGINGS ARE NOT PANTS. This costume goes against everything I believe in!) But it was SO. MUCH. FUN. 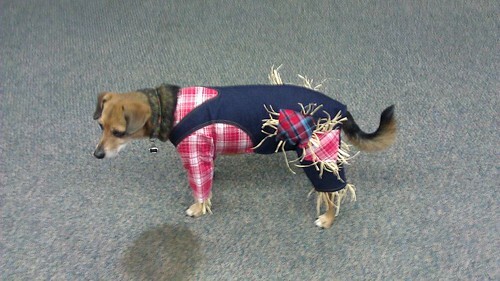 Debby's friend Amy commissioned me to make a scarecrow costume for her dog for Halloween. That was a first for me! I think it turned out pretty cute. We made these for our Halloween skit at work. 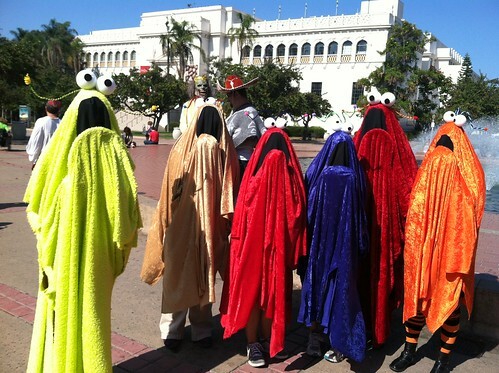 Unbeknownst to us, another department *also* did the Yip-Yips! Kind of embarassing, but also pretty funny. 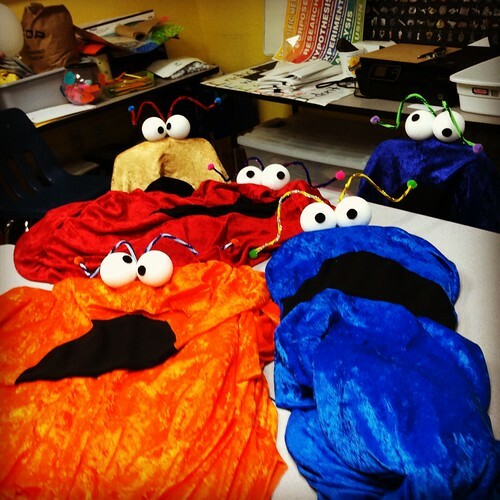 We made these in about an hour, the day before Halloweeen, and they were made with panne velvet and hot glue and it made my soul cry. But my coworkers had lots of fun. 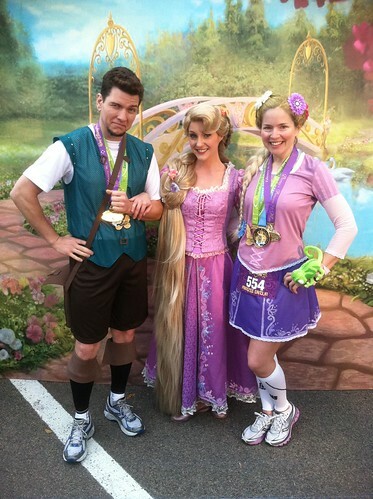 For the Disney Princess half, Rogue, Janine, and I ran as Flynn/Eugene, Gothel, and Rapunzel from Tangled. 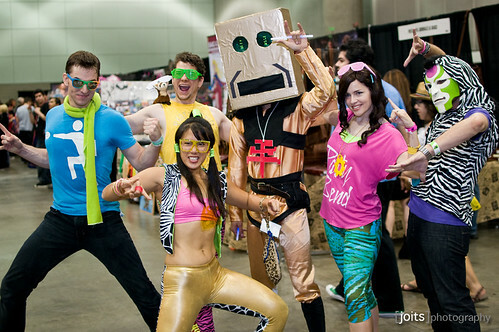 Super fun times! 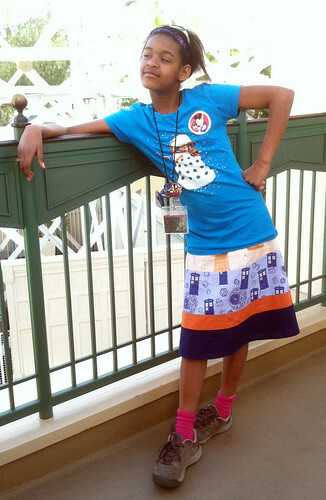 I made Gabi a skirt from the scraps left over from Janine's skirt and Ron's shirt! Squeaking in just under the wire, on New Year's Eve! I went to Macy's with Debby and Cordelia in December, and on the clearance rack, we found this adorable skirt that was a ladies' size extra-small. 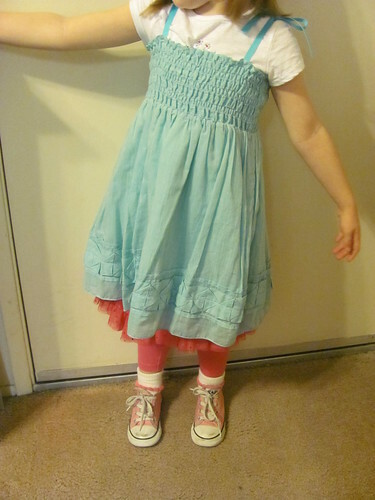 All I had to do was add some ribbon ties at the shoulders, and it became the cutest little sundress! 1. 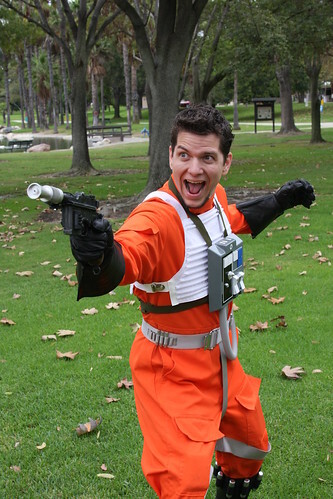 Rebel Pilot for me! 3. Scarlett's "shantytown" dress for a GWTW group at D*C. Yes, the trim is insane. Yes, I'm going to start early. Really. 4. Mayyyyybe Rapunzel? I keep almost doing it. 5. Whatever else comes up!